The Ambient calculus is a successful model of distributed, mobile computation, and has been the vehicle of new ideas for resource access control. 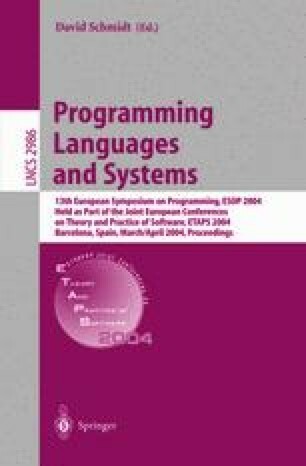 Mobility types have been used to enforce elementary access control policies, expressed indirectly via classification of ambients in groups by means of ‘group types.’ The paper presents a theory of dependent types for the Ambient calculus which allows greater flexibility, while keeping the complexity away from the programmer into the type system. Research supported by ‘MyThS: Models and Types for Security in Mobile Distributed Systems’, EU FET-GC IST-2001-32617.